Total count is also termed as standard plate count or colony count. It gives the total number of microbes both viable and non-viable. All cells are counted. These include bacteria, yeasts and moulds. It is usually done by pour plate method. Total count generally requires employment of a microscope.... 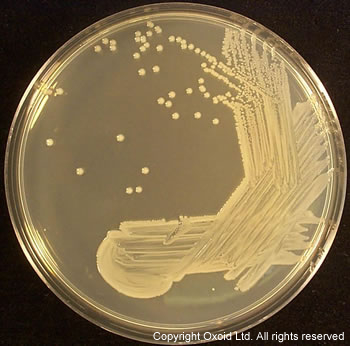 In microbiology, a colony-forming unit (CFU, cfu, Cfu) is a unit used to estimate the number of viable bacteria or fungal cells in a sample. Viable is defined as the ability to multiply via binary fission under the controlled conditions. Microbiological Methods II-A-1 Microbiological Methods of the Member Companies of the Accepted 03-20-91 Revised 02-01-07 MESOPHILIC YEAST AND MOLD (STANDARD PLATE COUNT OR TOTAL PLATE COUNT) PRINCIPLE Yeast and mold are quantitated by the fractional gram pour plate technique. Media can be rendered selective for yeast and mold by lowering the pH of the media or by �... The eluent from the washing should be tested using an appropriate total viable count (TVC) test method, where membrane filtration is the method of choice, followed by the pour plate technique. The microbial counts from all washes are compared in order to assess the total bioburden. Aerobic Plate Count in Foods (PetrifilmTM Method) - AOAC 990.12 SCOPE All foods PRINCIPLES Aerobic Plate Count (APC)1 3M Petrifilm contains nutrients and 2,3,5-triphenyltetrazolium chloride as an indicator of bacterial growth. Reduction of triphenyltetrazolium by bacteria results in red coloured colonies2. Plates are hydrated with sample and gelling agents cause the media to solidify. The financial accounting cheat sheet pdf The standard plate count (SPC), also referred to as the aerobic plate count or the total viable count, is one of the most common tests applied to indicate the microbiological quality of food. Development and validation of a microbial counting method for mebendazole oral suspension 557 at 10 �L onto 5 mL soybean casein broth liquid medium. SPC means standard plate count at 30�C with an incubation time of 72 hours. 2 Application (1) The foods listed in column 1 of the Schedule in this Standard must, subject to subclause (2) and subclause (3), comply with the microbiological limits set in relation to that food in the Schedule.